We never back down from a challenge. 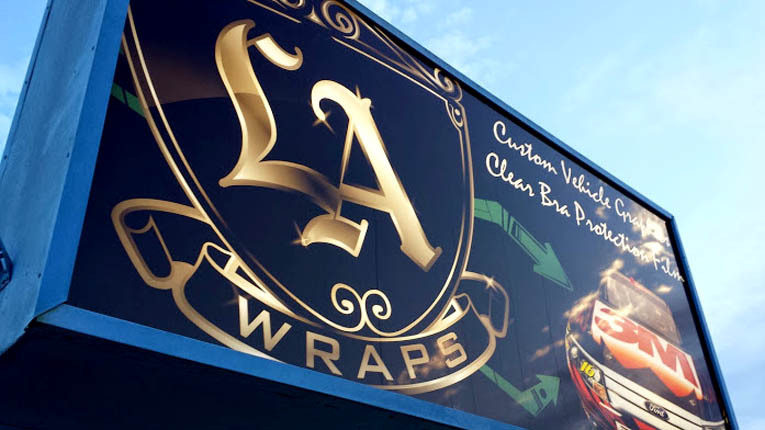 Timelines and install conditions vary but LA Wraps always strives to deliver on time while delivering on our promise to give our clients the best quality product. Wrap installation is a combination of finesse and grind. It takes special skill and character to endure grueling conditions and often long hours to ensure timely delivery of a client’s project. Our installers never complain or make excuses. They just deliver results. While we prefer in-house installation for vehicles, we are capable of on-location installations for large fleets, architectural work, or in situations that don’t allow the job to come to us. Call us today to learn more. Indoor or Outdoor. At our shop or at your (clients’) shop. We’re Game. 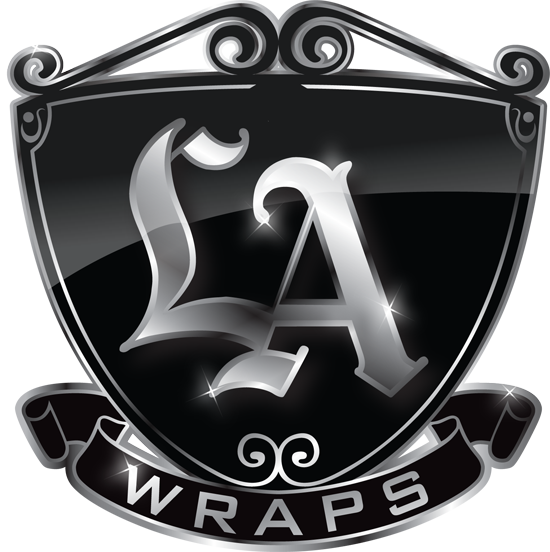 Los Angeles Wraps is a member of UASG 3M Certified Installation Company network. 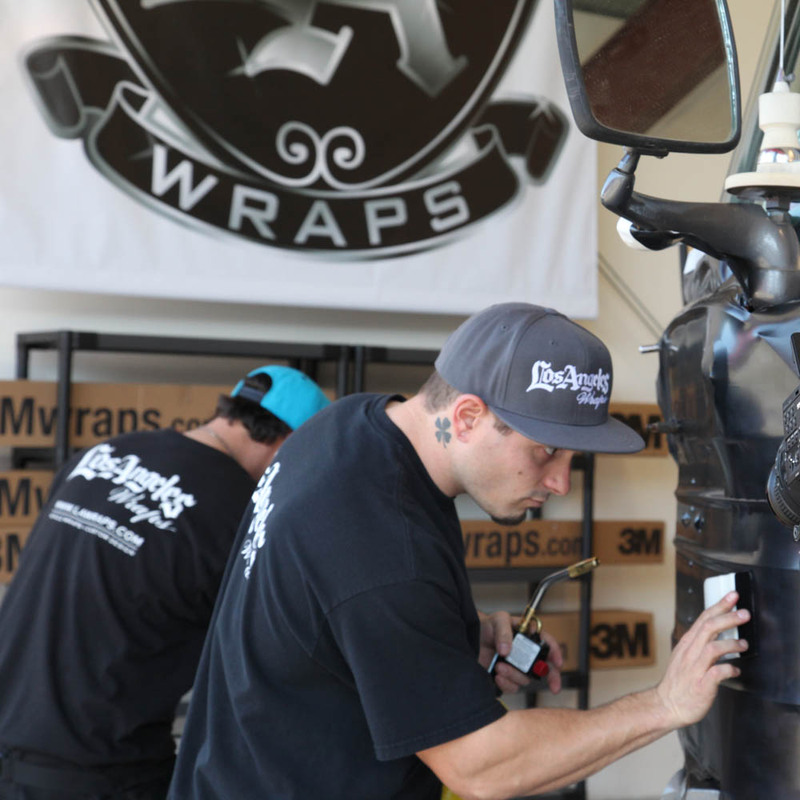 We have worked with many out of state companies to handle their So-Cal and West Coast install needs. We have travelled as far as Florida to handle installs for our clients should the need arise. We are packed and ready to meet what ever field install work comes our way. Many out-of-state businesses contract our services when they need a trustworthy, reliable, cost effective, partner in the Southwestern United States. We’ve successfully installed for a number of companies when their clients’ fleets extended beyond their reach. Whether the reasons are geographic in nature, or the workload is too heavy for you to handle, we can assist in printing and/or installation services. Contact us for more information. 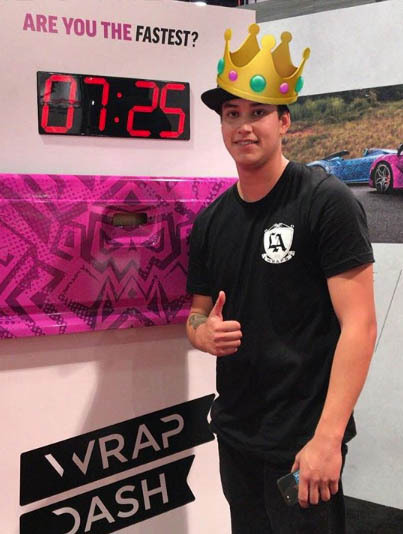 Our installer wins the Wrap Dash on this day at the SGIA expo. Our installers also put in a great effort at the Wrap Challenge and came very close to wining the whole event. We will be back soon to take another attempt at winning this prestigious contest against industry veterans from around the world. We believe our installers are second to none. Their capabilities and attitude combine to create great install teams. Our teams have been featured on various television shows and pilots. They work tirelessly in front or behind the camera through grueling entertainment schedules and are always professional on set at your location. Our only goal is giving you the graphic asset you need on time.